ZERO THEORY: BLOX is my (Mark’s) own affiliate income system… Designed to enable anyone to profit from affiliate offers without actually promoting specific products... I personally do this over and over, so rest assured BLOX comes complete with a ton of proof. BLOX is REAL, I (Mark) developed this system for myself with an aim of achieving more than a quick buck. Carrot & Stick… The system is designed to enable users to profit from any affiliate product they wish without promoting any specific affiliate product… it works like this. Step 1. The user pre-sells a product they control / have access to (training included)… this element remains evergreen, which means it can be used over and over to generate more and more affiliate commission from any product. Step 2. 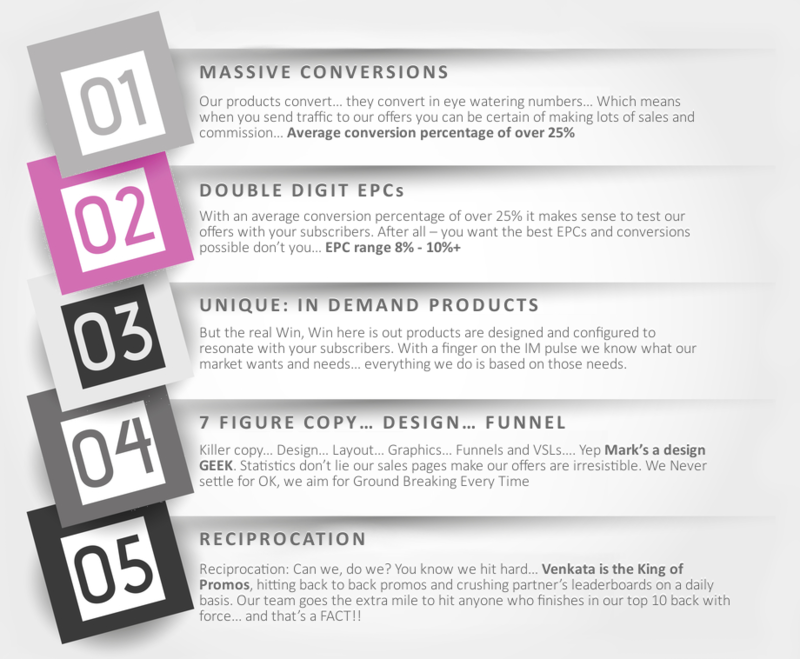 Traffic from Pre-Sell post is filtered through a ‘Trade-Off’ page… Resulting in more commission and higher conversions. Compounding: Following the system on a regular basis has a knock on effect leading to natural (WH) search engine placement. Watch this explainer video for more details. This Set-Up Compliments the Main Offer All the Way Through so YOU Make Huge Commissions! FE: We’re completely over delivering throughout the funnel. BLOX (FE) is a complete and detailed system for generating consistent income from affiliate products without actually promoting specific affiliate products. This is a system used by me personally and one which can be easily adopted by anyone (Newbie Friendly). 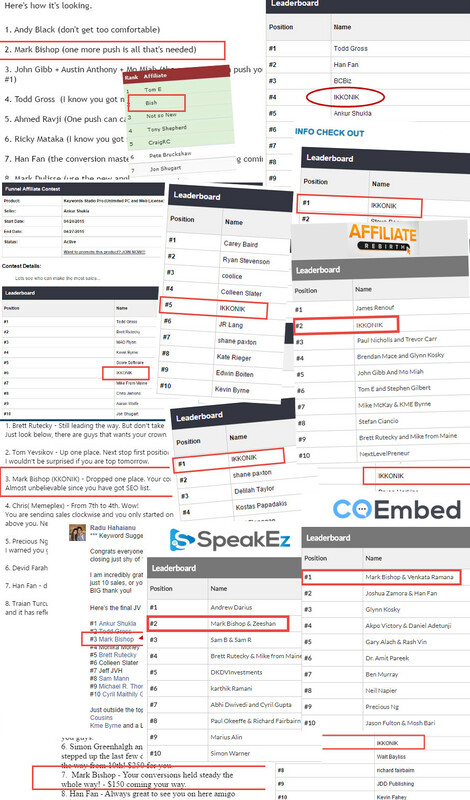 List: a tutorial on how to use the BLOX method to turn prospects into leads (without giving anything away) and then sell affiliate products to them. Autorank: PDF & Video – How to set everything up to rank organically on autopilot for additional passive income. BLOX MAX… offers users the opportunity to capitalize on a huge number of ready to go Magnets including unique training, videos and plugins… These D-F-Y Magnets are ready to go and fully hosted making it easy for anyone to get started with BLOX Fast. Great Products – Easy to Sell – Huge Numbers – Solid Reciprocation… That’s why you should consider supporting us. I.e. Total gross revenue generated from all / any products in the funnel. The affiliate or team with the highest gross revenue will win the prize. Teams must be confirmed before contest begins. 48 hour (2 day Contest) based on total sales value... 'All funnel sales count' (Teams of 2 allowed)... Contest #2 begins when contest #1 closes. HURRY... GRAB Your Links and Join this Insane Launch! And that's just a few of Mark's. Venkata is on 90%+ of our JV's Leaderboards Daily!